Good news for old-school gamers on the go: the latest update from the iMpulse Bluetooth controller has added quite a bit of features, making it more attractive than ever. 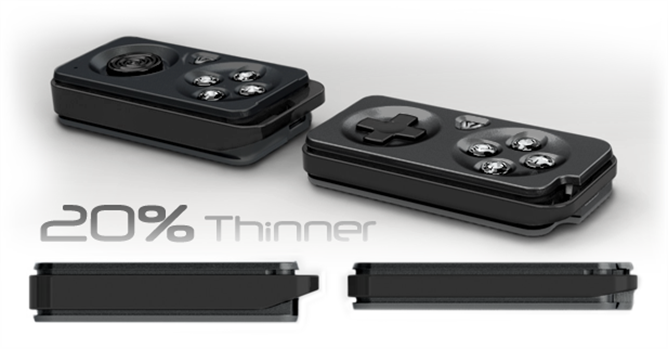 The creators of the Kickstarter project released a new design render, showing off a switch from a PlayStation Portable-style analog stick to a more conventional D-pad, which should work better for a wider variety of games. They've also added two "shoulder" buttons (actually on the back of the tiny device) for more flexibility, and the housing has been slimmed down, making the iMpulse look considerably less like a brick. This should give just about the same level of control, if not comfort, as the much-loved SNES gamepad. In the previous update (on Wednesday), Black Powder Media made a commitment to the Android platform - much appreciated, since until then pretty much all of their copy and promotional material was iOS-specific. Successful testing of the Bluetooth-controller was conducted with dozens of popular Play Store games, including Asphalt 3, Dark Legends, Pac-Man, Raging Thunder 2, Rayman Jungle Run, Riptide GP, Shine Runner, Sonic 4 Episode 1, The Bard's Tale and Zenonia 4. They also tested some of the most widely-used game emulators, like GameBoid family. Some games that aren't equipped for Bluetooth control need a helper app like GameKeyboard. 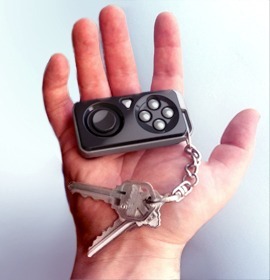 Between this renewed commitment to Android and the redesigned hardware, I must say I'm getting very excited for the keychain controller. Kickstarter projects have a bad habit of delivering late and with big disappointments (I'm looking at you, Star Command. And Chameleon. And Pebble) but I'll keep my hopes up for iMpulse. It's scheduled release in February, and you've still got until November 4th to contribute to the funded project.